We're about one hour north-east of Sacramento, and a little over one hour north-west of Lake Tahoe. Lake Wildwood is located in Penn Valley, 20 miles east of Marysville and 13 miles west of Grass Valley/Nevada City. From Sacramento, take I-80 to Hwy. 49 north. Travel approx. 30 miles to exit at Hwy 20/Marysville and turn left onto Hwy 20. Travel approximately 12 miles and turn right onto Pleasant Valley Road. 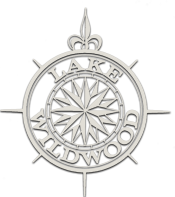 Go north one mile to the 4-way stop at the Lake Wildwood Main Gate. Turn right at the intersection and move immediately into the left turn lane to talk the Security Guard. Member Only access.